Its been a dry week with a fair amount of sun but not especially warm. The early part the day was sunny and I moved a few plants around before it rained. Here are six pictures from this morning for Six on Saturday. 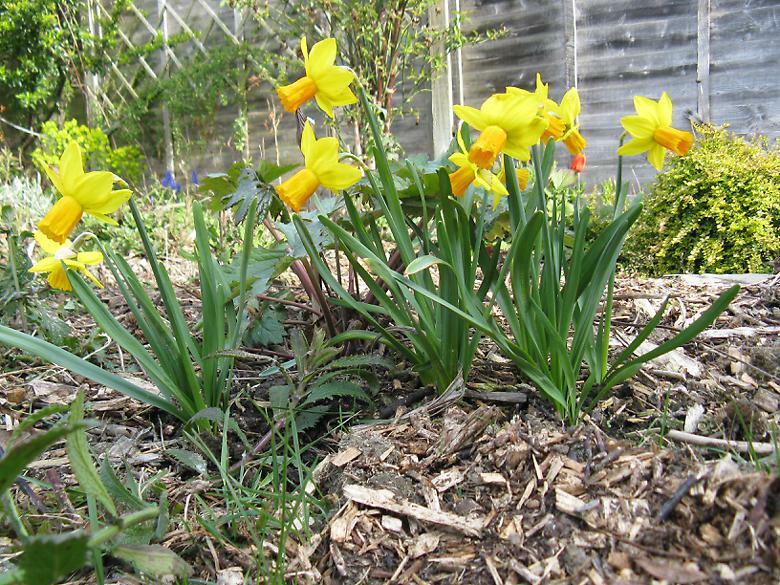 I bought two new daffodils this year, N. 'February gold' and N. 'Jetfire'. Now I expected the 'February gold' to appear first, perhaps even in February, but this appears to be 'Jetfire' as the centers are orange (they are more orange in real life than in this photo). The other daffodils are way behind and the buds are only just above ground, or not yet visible. It is going to be a week or two before I see what the others are like. 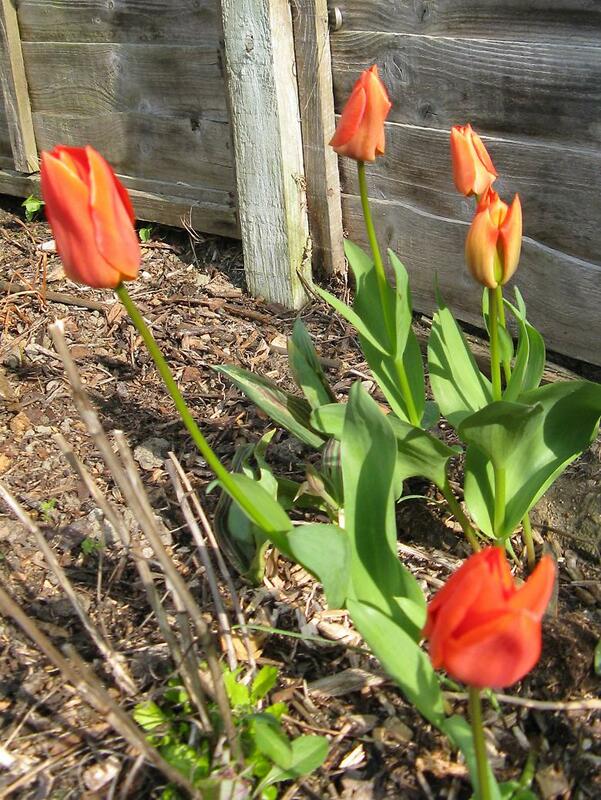 The plan for this years tulips was to get some that would return every year and bulk up over the years. I removed some from the trough which have multiplied well and planted them in the ground and bought three new batches. 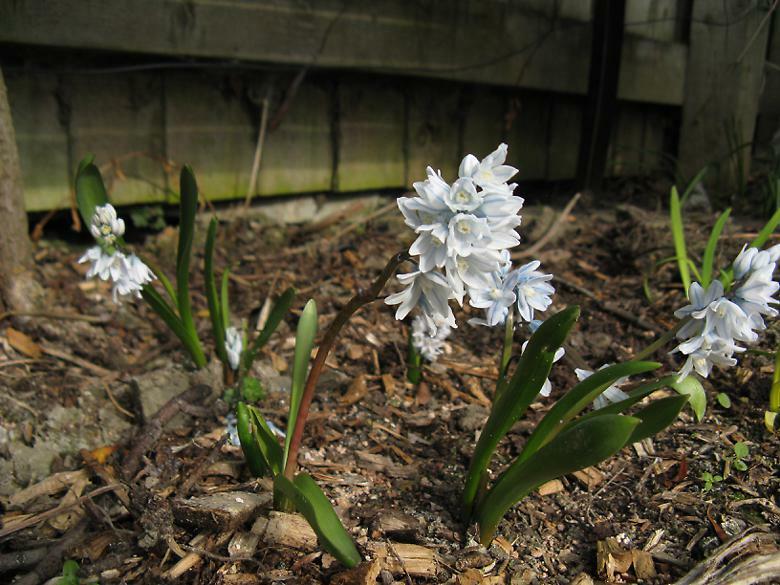 I will also remove any from previous years that do not flower this year. This is 'Orange emperorbrilliant' from last year, it is the first to flower and seems to have survived well. 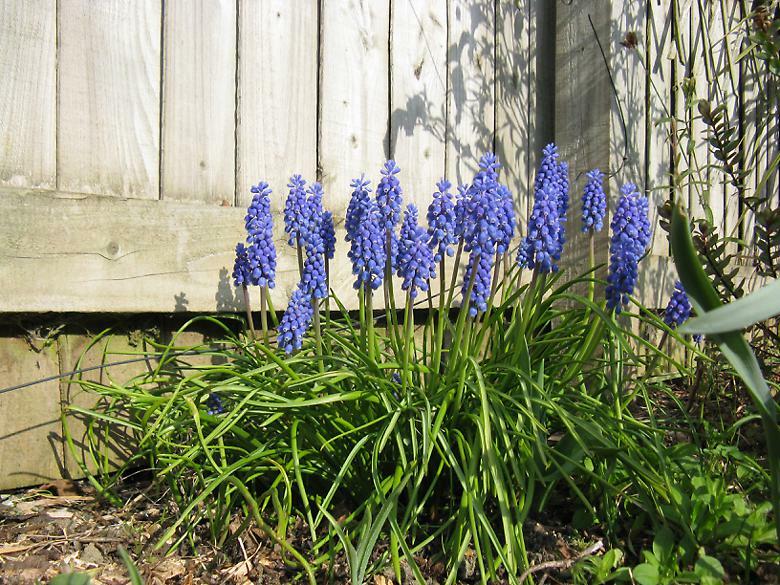 There was a large clump of these at the front of the border when I moved here. 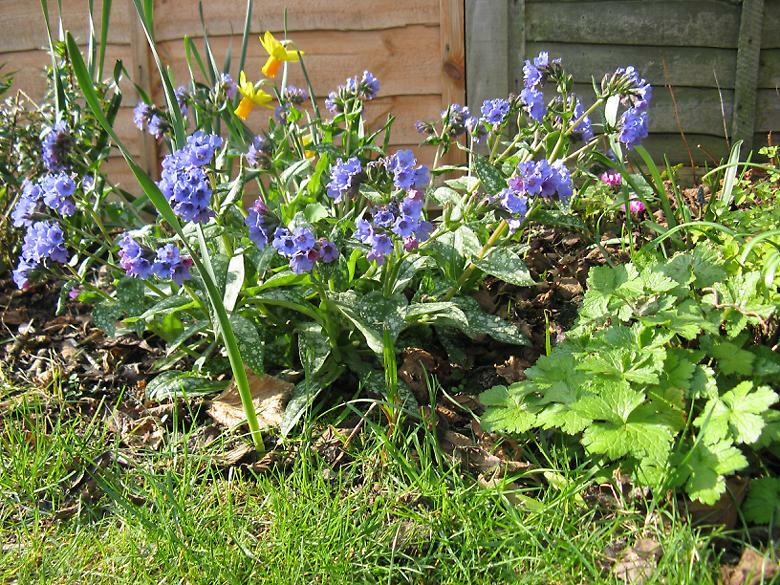 The leaves are not so attractive for several months of the year, so last autumn I re-located them to various other places further back so that later flowering plants would grow up in front of them. Here is the main group, now near the fence. This is now a fair sized clump with lots of flowers. The center is a bit lacking in flowers, they seem to be arranged around the edge, although there are buds in the center so maybe it will even out in time. I saw another one today in one of the Sixes that seemed to have a more upright habit than this one. I got a pot of these last year. They were quickly slugged and weren't very successful at all, so I was surprised to see that they had survived at all. 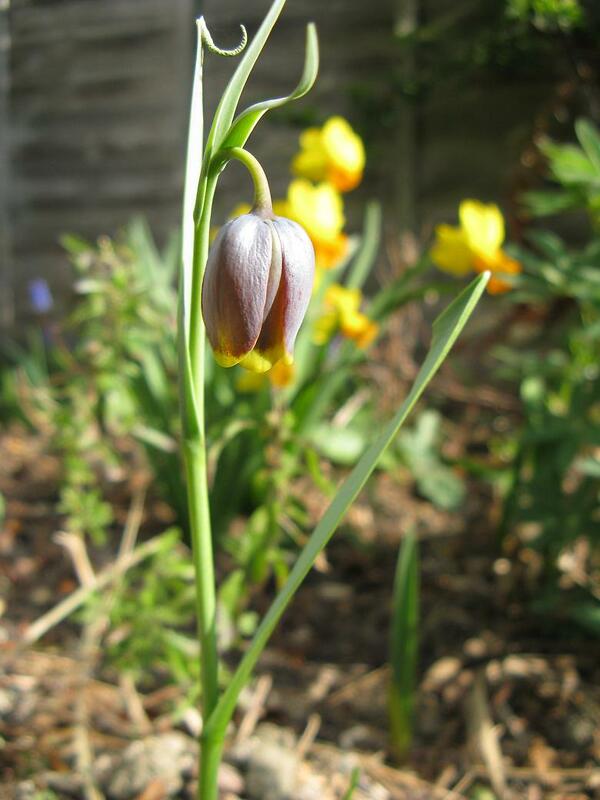 However there is just the one flower and this is it. In my last Sos I was wondering what had happened to the rest of these. What a difference a couple of weeks makes, they are now quickly growing and here is a small group in the same area as the single one was last time. I quite like these although they are smaller than I imagined they would be. They also seem a bit top heavy with the flowers prone to falling over.